For those detectorists who can afford to spend huge amounts of money on a very technologically-advanced machine, the Minelab CTX 3030 metal detector might be the best option for their needs. This metal detector is waterproof up to 10 feet (or 3 meters), and it can be successfully used on all terrains, providing very accurate target identification whenever you will be using it. Despite its expensive price value of $2,200, the Minelab CTX 3030 still remains one of the most professional machines on the market. This metal detector runs on one rechargeable lithium-ion battery, so you will not have to spend money on a new one once it goes empty. As you were probably expecting, this machine is equipped with a wide range of features that make it a great option for the more experienced detectorists. The CTX 3030 comes with a full-color LCD screen that beats other metal detectors’ on the market, which provides a GPS feature that tells you the exact location of the targets, so you can know how deep to dig to successfully recover it. The Minelab CTX 3030 comes with 5 preset detect modes (Coins, Beach, Relic, Silver and High Trash) plus 10 detect modes that are fully customizable as desired, therefore providing you unlimited possibilities and making your detecting experience much more enjoyable. As for the discrimination, you can expect to get a lot more opportunities when using this professional metal detector, as there are not only a few segments that display what targets are being eliminated from the detection. There are 35 Ferrous discrimination patterns and 50 Conductivity ones, plus 20 other discrimination patterns that can be customized so that you can use them later whenever you embark on detections with similar purposes. The sensitivity of this metal detector is both auto and manual, and it can be successfully adjusted to one of the 20 levels available. This will increase the likeliness to find the desired targets faster, thus determining the machine to signal more accurately once they are identified. 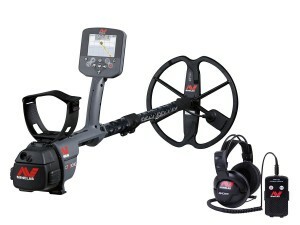 The audio tones can be customized depending on the types of metals that are discovered by this Minelab metal detector, which simplifies target identification substantially. Once the CTX 3030 signals the presence of a metal buried in the ground, you can switch over to the Pinpoint mode in order to find its exact location and know how deep to dig for it. Much to your delight, the housing of the Minelab CTX 3030 is waterproof up to 10 feet (or 3 meters), which means that you can successfully use it underwater if you are planning to detect beaches or nearby rivers/lakes. The performance of your machine is not going to be slowed down by the contact with the water, and you can expect to easily find buried treasures even on the river/lake/ocean floor. Although this is a professional metal detector, the Minelab CTX 3030 still has a couple of flaws that might make it not significantly better compared to the E-Trac or XP DEUS. In the first place, this machine does not allow users to manually adjust the ground balance, which means that you will not be able to detect on those soils that have a rich mineral content, as your metal detector is going to start beeping constantly. This might eventually lead to unnecessary digging and effort, which might ruin your overall metal detecting experience to some degree. 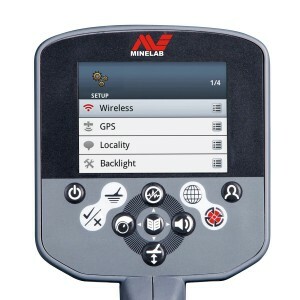 Another potential complaint about the Minelab CTX 3030 metal detector is the price – although this clearly is a professional machine suited for pro detectorists, it is much too expensive anyway, especially since there are other models that cost less than $2,000 and incorporate pretty much the same features. 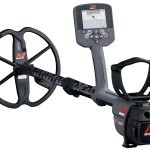 Despite a couple of flaws, this Minelab metal detector remains one of the most suitable for all experienced detectorists who want to broaden their spectrum of opportunities during detections. This machine has a seamless performance in most situations, permitting users to easily locate and recover buried treasures, be they just nickels or huge hoards, therefore making their experiences much more pleasurable. 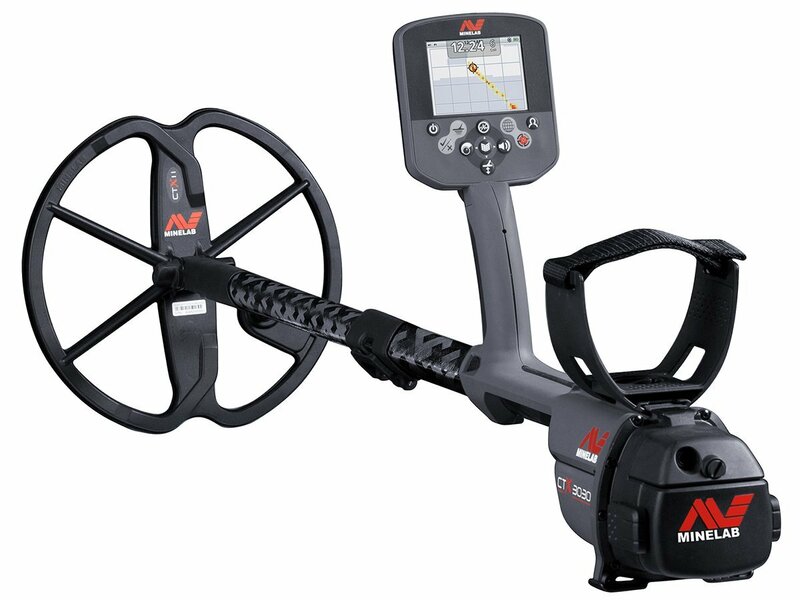 The Minelab CTX 3030 metal detector has been very positively responded to by the vast majority of customers who have bought it. One buyer has reported that he managed to find a small kids gold ring during the third detection using this machine, as well as other coins during the first and second detections. Another customer was extremely pleased with the waterproof performance of the unit, as he was able to recover different rings and even gold meteorites from the sand of the shore. Furthermore, most consumers reported the CTX 3030 metal detector to be comfortable to carry and swing while detecting, offering excellent visual and audio target identification that surpasses those of other models.